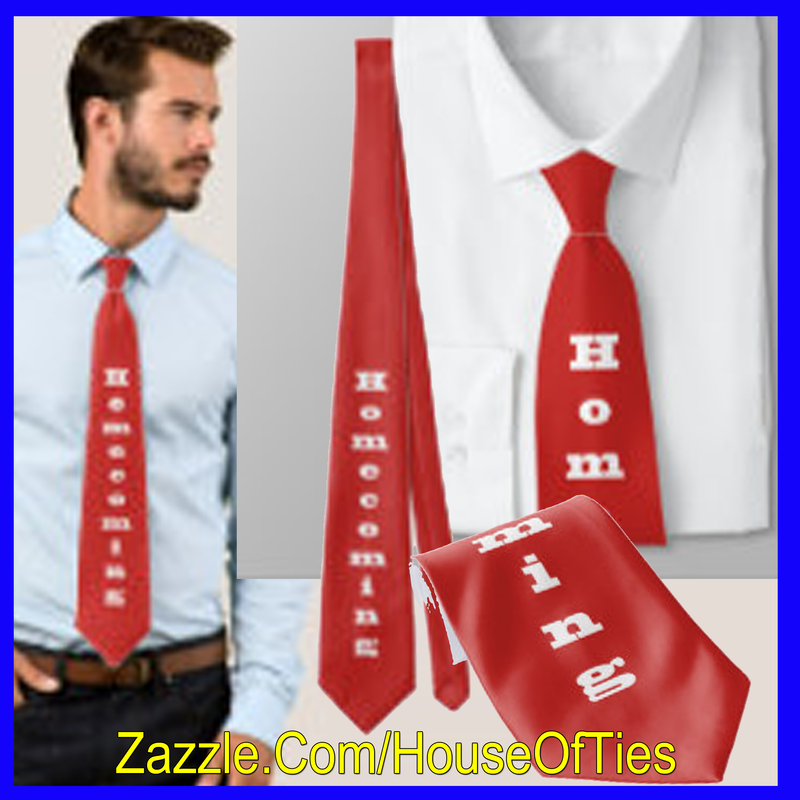 Neckties designed to look like Homecoming Mums worn to football games mainly in Texas. If you're from Texas, you know what this is all about. If your new to Texas, then get ready for football season and Homecoming football games Texas Style. This is a picture of a (what would be considered small) homecoming mum that I made for a niece. If you google homecoming mum you will see how large and elaborate some of these can be. This one went from shoulder to ankle with a chrysanthemum surrounded by rows of ribbon and a teddy bear. The long streamers are in various lengths of pretty ribbons and chains of football themed trinkets. For many years now, guys have been wearing a smaller mum on their arm. It is secured with an elastic band or garter. I thought a guy might like to wear their mum printed on their tie instead of hanging from their arm. I feel like these will be great for any guy and certainly something different! Dads escorting their daughter on the way to becoming Homecoming Queen, teachers. principals or any man who would wear a tie for the night will be showing their school spirit. I started simple, and as it happened when I made real mums for people, the tie designs kept growing. As you will see in the pictures below, there are some without a chrysanthemum and some with one. There are lots of color combinations and different designs with more or less "streamers and trinkets" designed into them. Well, I guess the cowgirl in me came through in this design. I took some of the elements that I have used on western neckties, leather strips and conchos, and put them together to look like a mum. 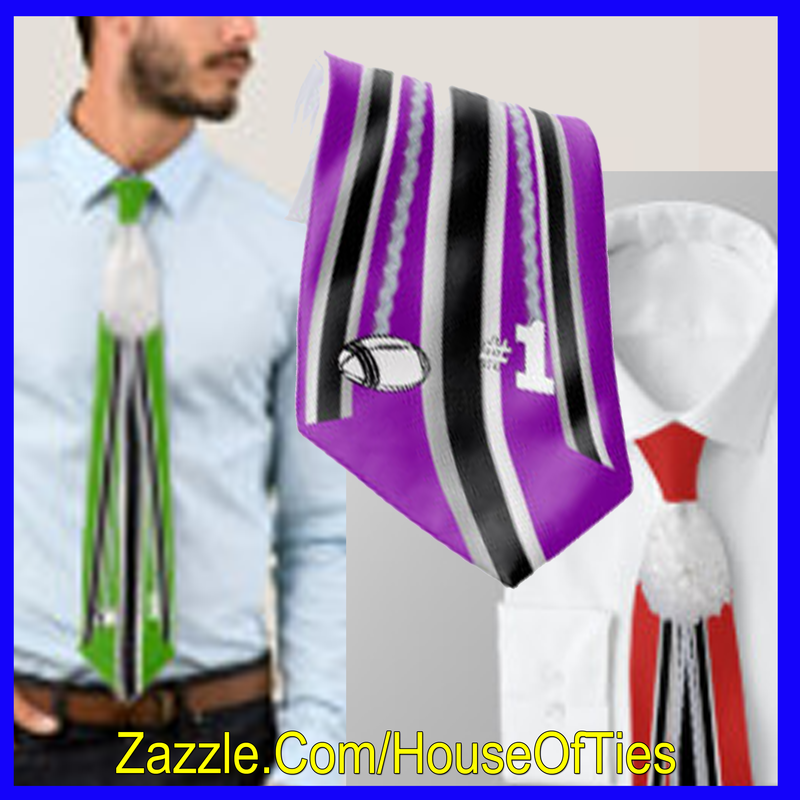 Ties are available through the House Of Ties Store at Zazzle. Each tie is custom printed then cut and sewn when ordered, so I would allow about 10 days to 2 weeks for your tie to arrive if you need it by a certain date. 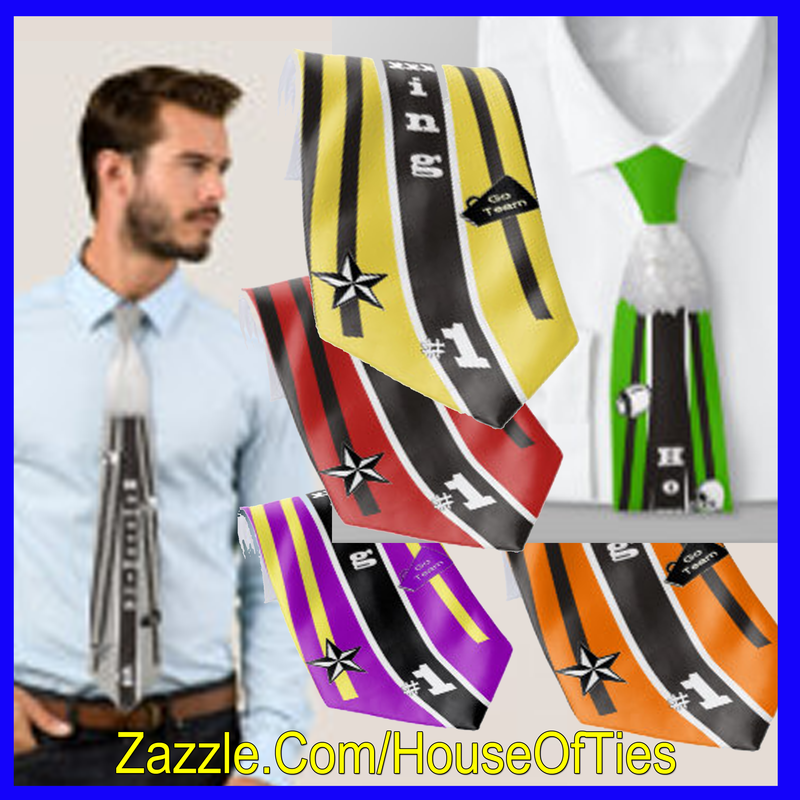 There are also many mascot ties in lots of colors and football designs if your looking for something like that.